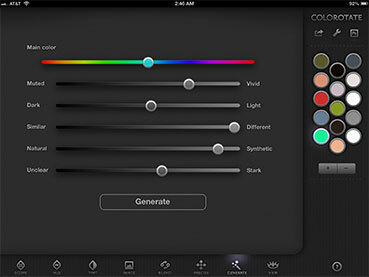 Edit color palettes with a few taps of your fingers. 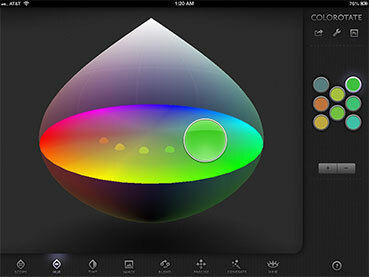 Easily analyze, extract, adjust, and share colors. 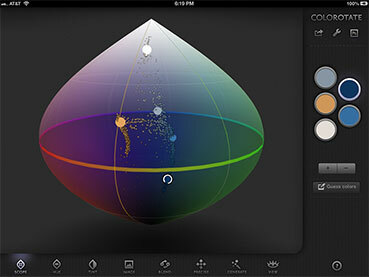 Take control of colors with the intuitive 3D color scope. 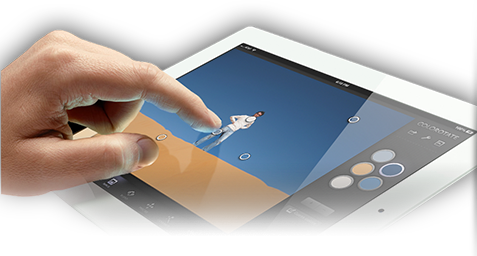 There are powerful tools for extracting from images, adjusting with blends, making precise edits, or generating fresh ideas with randomized palettes. 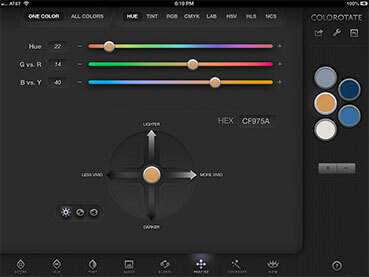 Send a preview (e.g., stripes, circles), and hex, RGB, and CSS formatted color lists. Tweet palette as Twitter pictures. 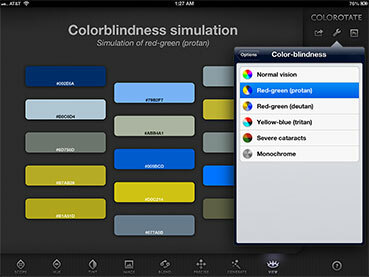 Post a list of hex and RGB colors, and am optional source image. 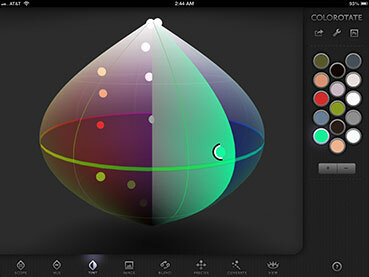 Save your palette as a new note. Share preview and palette. Two options: save as an image, or a PDF. 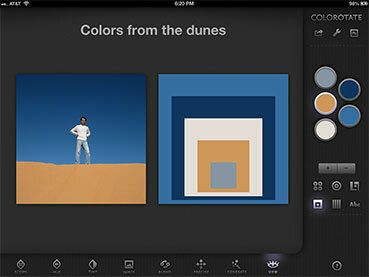 Add the palette preview to your iPad's photo library. 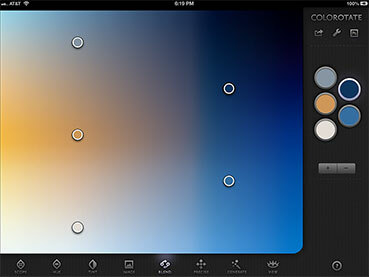 View your palettes with six different preview modes. Share with colleagues, clients and friends by email, Twitter, Facebook, Evernote, DropBox, or send to your photo library. 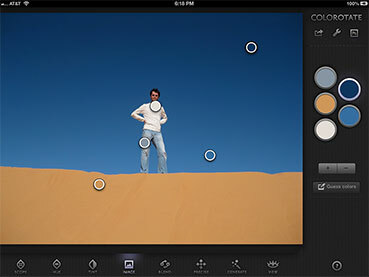 Connect to Photoshop CS5 or CS6 and ColoRotate instantly updates the foreground & background colors, or sends palettes to your desktop. Copyright © 2012 IDEA. All Rights Reserved.